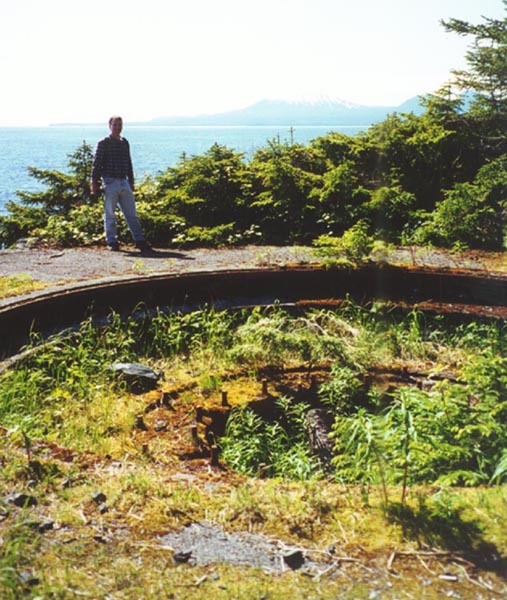 Here is Gun Emplacement # 1. This is taken from right outside the magazine. The mountain in the background is Mt. Edgecombe. Battery 290 was constructed at the point to the left of the mountain.